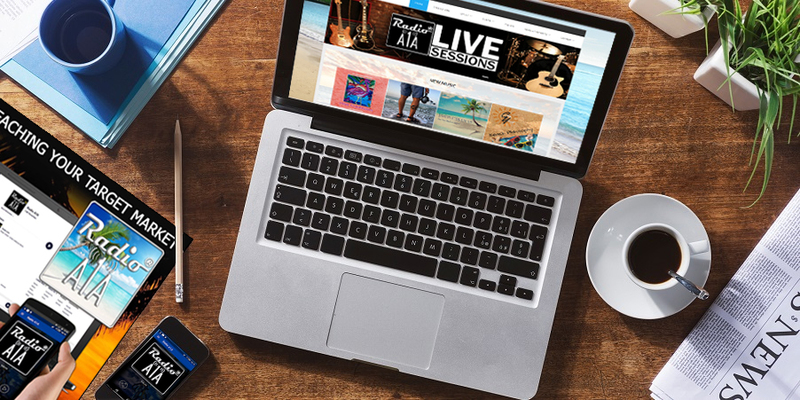 For everyone who follows, listens and contributes to RadioA1A independent songwriter Programming, I want to extend a very special thank you and share the latest from our mission to support and promote 'Tropical Americana' Music. 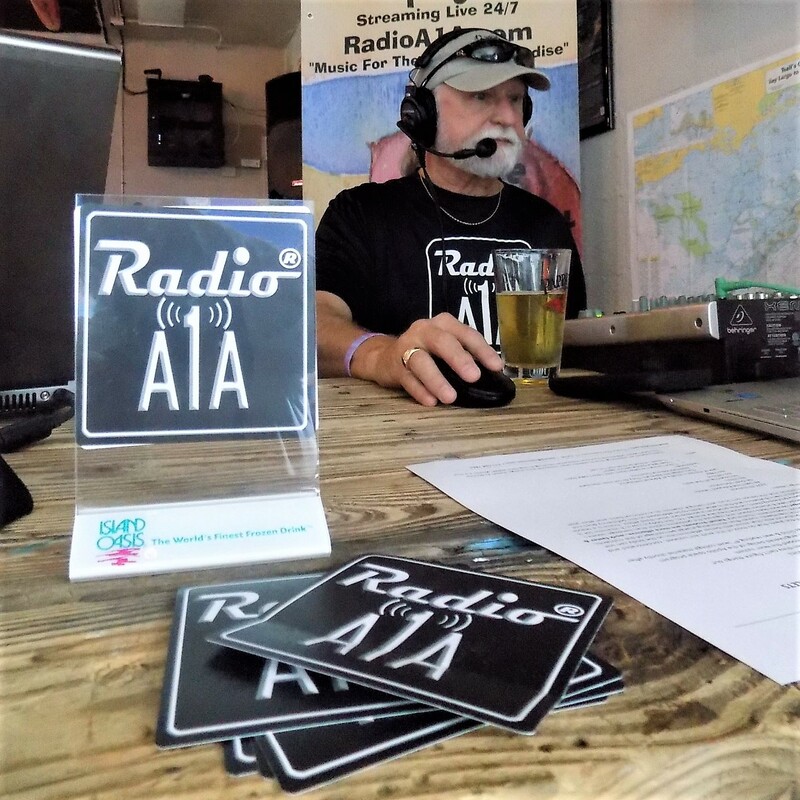 As the RadioA1A Remote Broadcast Team returned from the epic 2019 Music on the Bay, there were several hours of drive time to reflect and listen to our programming and then to switch over and compare RadioA1A to Margaritaville Radio on SiriusXM. Wow, Margaritaville is a great station... but, I think you may agree, it's not RadioA1A. 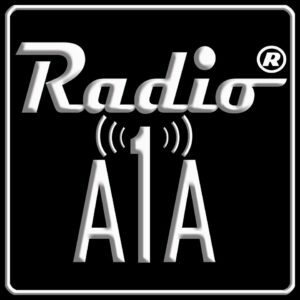 The RadioA1A commitment to the independent songwriter allows our unique programming to stand out pretty clearly. Our programming features talented and inspired independent songwriters chosen equitably and based primarily on songwriting skills, quality production and, their organic 'Tropical Americana' musical themes/arrangements. 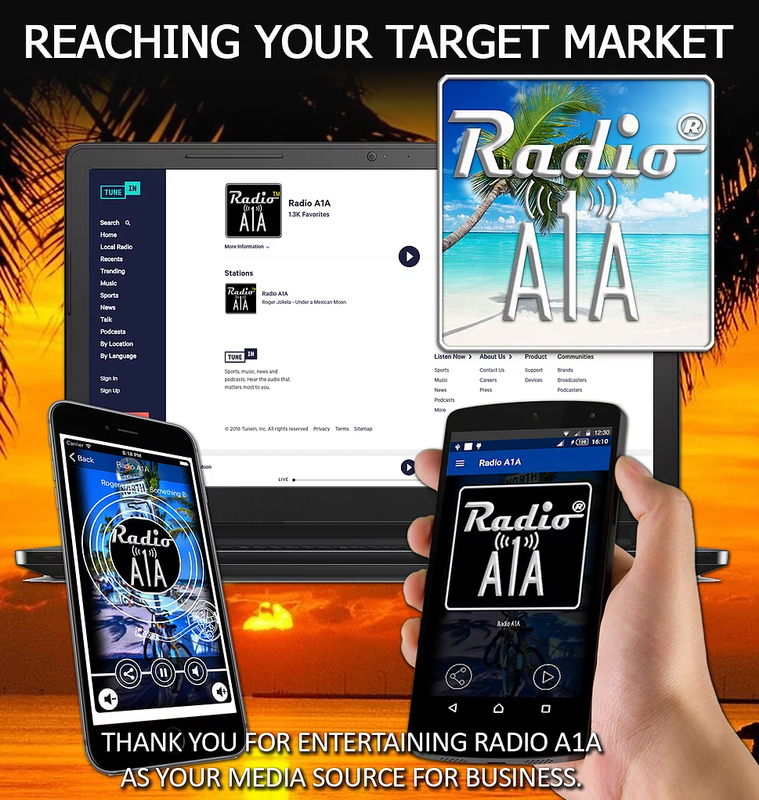 Although I'm sharing information that every RadioA1A fan and artist already know very well, the RadioA1A audience has grown considerably and is still very loyal and passionate about hearing new and exciting 'Tropical' songs/artists. We are pleased to announce that every month over 4,000 new fans are discovering RadioA1A Programming for the first time and total listenership has surpassed two million listeners over the last 5 years. Also currently, something new and exciting is occurring and, we need your help. We have received word that we may be the object of some interest and a topic of discussion to bring the RadioA1A format to the SiriusXM 'Satellite Radio' subscription broadcast platform. Is this a good direction for RadioA1A? Or, do you prefer the current free Internet Streaming platform? What are your thoughts? If you have an opinion on this possible direction for RadioA1A, please tell us at;https://radioa1a.com/contact-3/ ... And, most importantly, if you think it's a really good idea, tell SiriusXM; https://www.siriusxm.com/contactus. Thanks for listening and a special thanks to the talented and tireless 'Tropical' Songwriters. You make everything possible through your awesome original music. Mike Carpenter Sounding great Mac...talented indeed! Gerald Austin Love you Mack your Tn family!! !